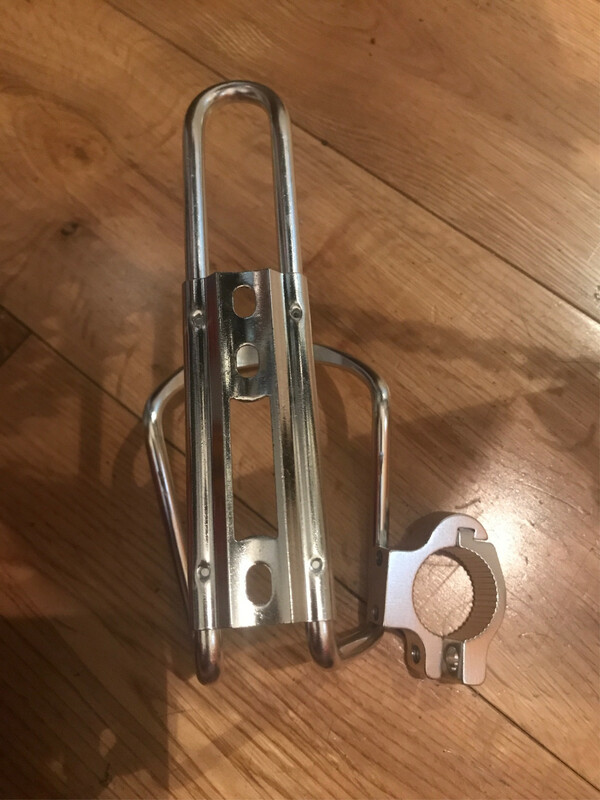 I want to fit this bottle holder on my bike but the attachment seems too thin for the frame tubes. I believe this is a universal bottle holder and my bike isn’t of unusual size or tube girth. Am I missing something here or this just won’t fit? P. S. Unlike my mountain bike, this bike (Claud Butler Legend) does not have pre-drilled holes for accessories on the frame. That does not appear to be a attachment for mounting a bottle cage to a frame tube. The two holes in the mount appear to match the two holes in the upper plate of the cage, which orients the mount incorrectly for clamping a frame tube. My guess is that it's for mounting to handlebars - which have a standard diameter, unlike frame tubes. 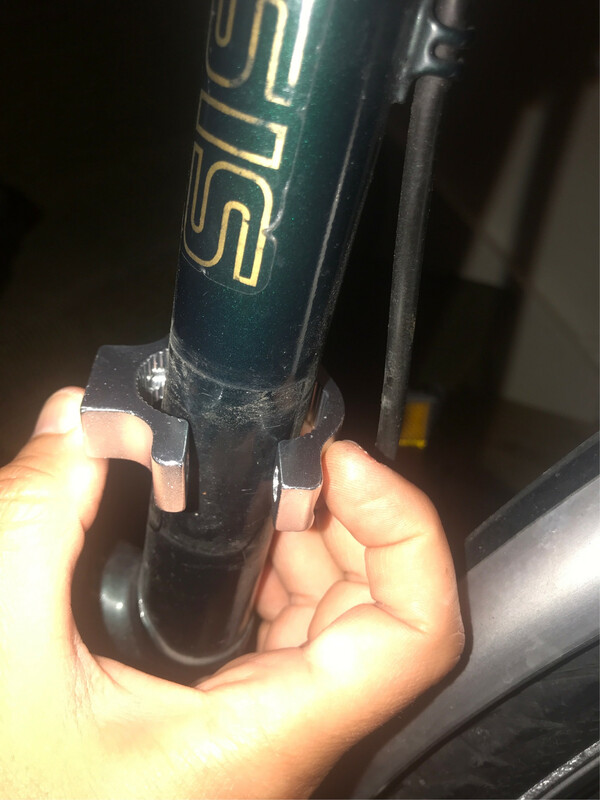 mounts for frame tubes do exist. They typically use two adjustable straps of some kind to accommodate different size frame tubes. You want something with a beefy strap that can be tightened sufficiently to stop the cage rotating on the frame tube. Not the answer you're looking for? Browse other questions tagged frames parts accessories bottle or ask your own question. How comfortable is it to wear a u-lock holder this way?